Syrian refugee Bashar al Jaddou, center, is interviewed while sitting with his wife Maryam, second from left, and their children twins Maria, left, Hasan, center, and Mohammad word at their apartment in Dallas, Texas on Nov. 29, 2015. "It's the American Dream. It’s very cool to see." Five years ago, a US delivery firm was struggling with high turnover rates. Looking for a solution, managers began recruiting and employing refugees from the local area. Turnover plunged from 13% to 2%. Today, 20% of the firm’s employees are refugees. That anecdote comes from the Fiscal Policy Institute (FPI), which recently published a report on the employment outcomes of refugees along with the Tent Foundation, a nonprofit that helps refugees find work. Firms surveyed were given anonymity in exchange for employment data. Take Action: Your Words Can Make a Difference. Send a Letter to a Refugee Today. The report comes at a time when the number of refugees resettled in the US reaches record lows under the current administration. Despite this restrictive political environment, refugees finding work are thriving, the report argues. Overall, the report found that refugees had a lower turnover rate than other employees in 19 or 26 firms across multiple industries, and the same turnover rate in four firms. Firms that paid more had lower rates of turnover, the report found. Higher retention rates, on average, save companies $5,200 per employee each year, according to the report. In manufacturing, the second-leading industry for refugee employment, refugee turnover among reviewed firms was 4%, compared to the 11% industry average. In recent years, various companies have vowed to hire refugees, and it has often been framed as a humanitarian move, according to Quartz. 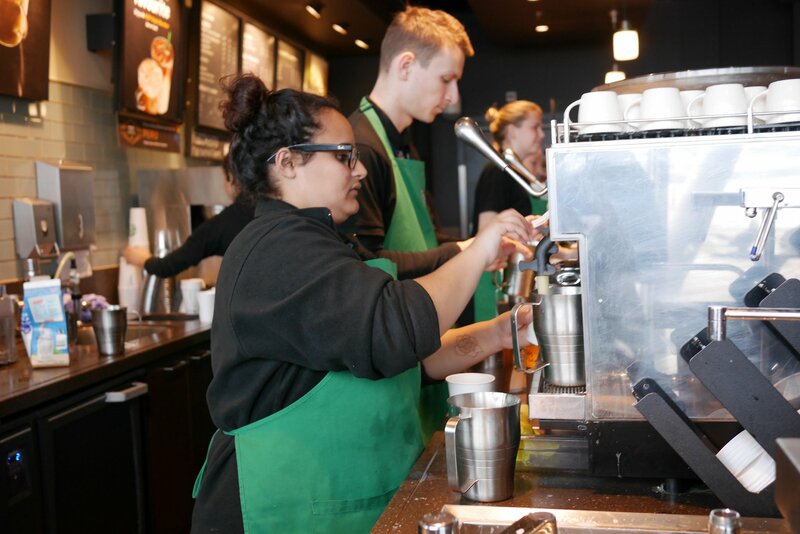 For example, Starbucks has pledged to hire 10,000 refugees, WeWork plans to employ 1,500 refugees, and Chobani’s workforce is currently 30% to 40% refugees and immigrants, Quartz reports. The new report argues that, while having humanitarian elements, hiring refugees is also a shrewd business decision. “[There’s a] stereotype that refugees are lazy or don’t want to contribute,” Gideon Maltz, executive director of the Tent Foundation, told Quartz. The employers interviewed in the report said that refugees are hard-working and reliable, and that their presence has allowed them to be better overall employers by forcing the companies to adapt to the cultural nuances of a new community. Language is often the biggest obstacle, but companies that invest in language training courses see even higher retention rates. Firms are adapting in other ways, too. For example, one company found that it was best to be flexible on arrival and departure times because of the long commutes that some refugees faced. Another company found that extending bereavement leave policies for refugees makes sense for the entire company, because it allows people to grieve and improves overall productivity. And another company found that accommodating refugees improved its ability to accommodate other marginalized communities, such as former prisoners. “We learned a lot from working with refugees,” the manager added. Overall, companies found that recruiting refugees creates a network effect. After one employee is hired, he or she promotes the company to community members. And once one refugee is integrated into a company’s culture, it becomes easier to integrate others. While the sample size of the report is small, the results nonetheless show that refugees are not people to be pitied. Instead, they’re hard workers who just want to get back on their feet. Global Citizen campaigns to help refugees, and you can take action on this issue here.